Are you looking for the best available method to deal with weed (bluegrass, moss etc.) or an oily upper layer? 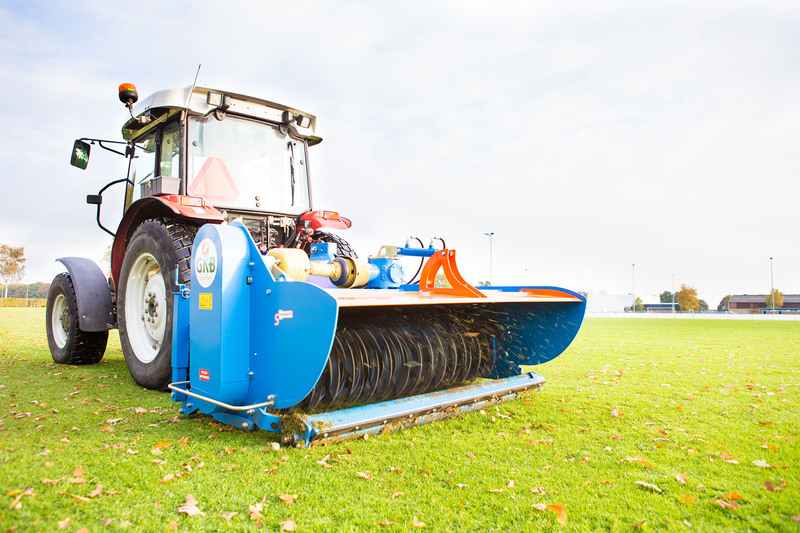 Do you want to preserve your sports pitch in excellent condition? The Vstrong is capable of doing all this. 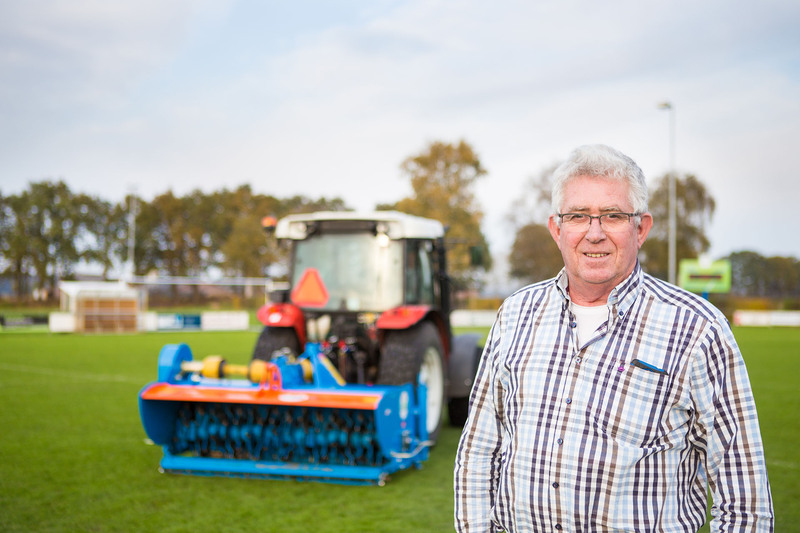 We produce our Vstrong scarifying machine in the same innovative manner as our GKB Combinator, the predecessor of which we and the Council of Rotterdam developed at the end of the 1990’s. 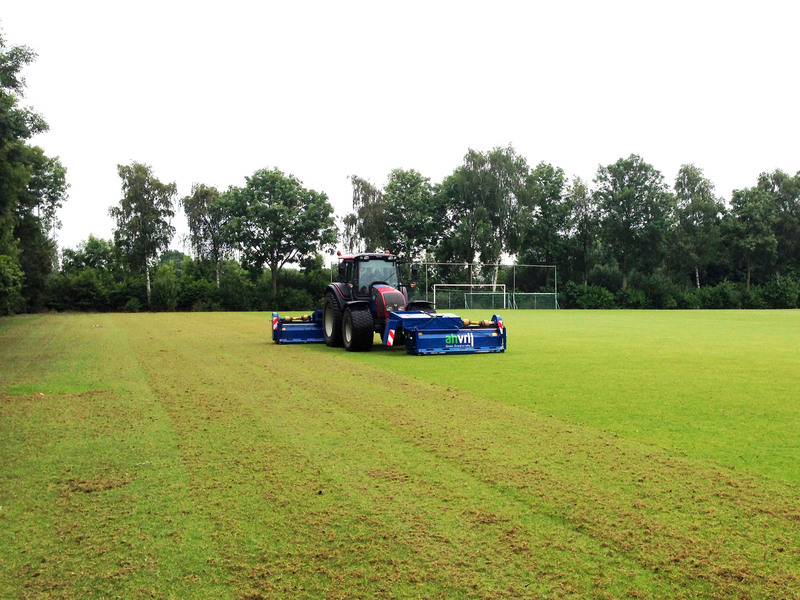 The method employed of milling the upper turf layer is still in worldwide practice today. 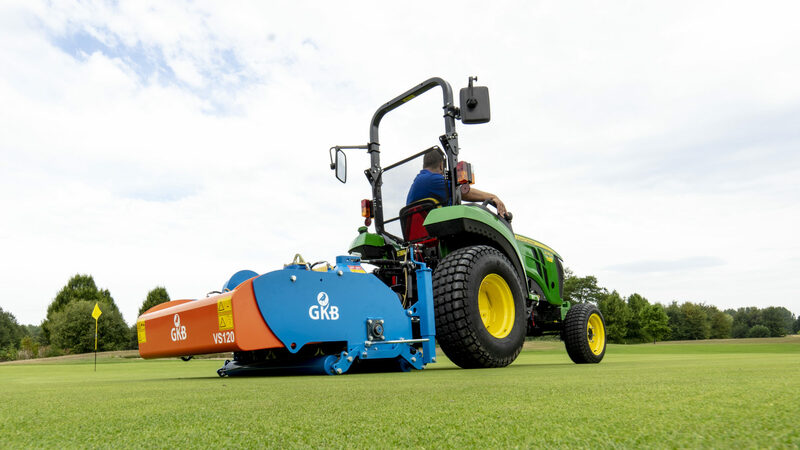 With this machine, we not only improve on the already proven technology but also the operating speed (to 12 km/h) and the reliability of the machine is what a professional like you demands. If you are thinking of chemical-free weed management and minimization of waste flows, then you should think of the Vstrong. 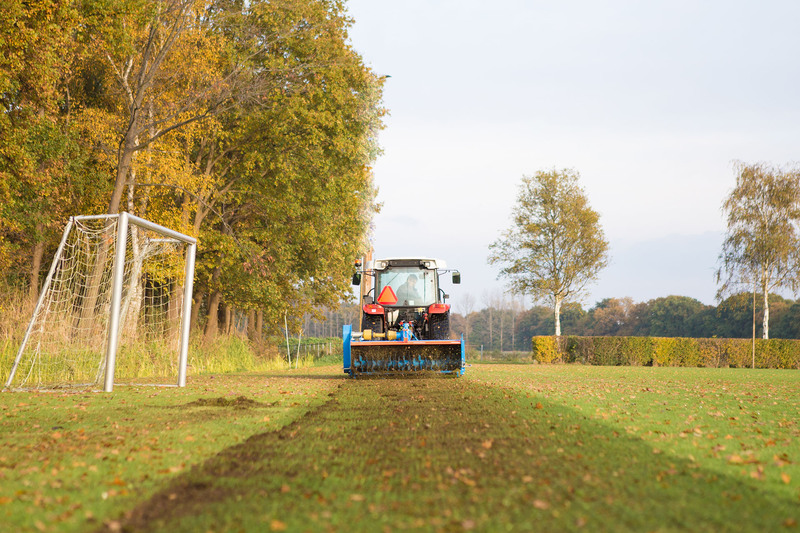 Only you know what your sports pitches need. With the Vstrong you are in possession of a robust and reliable scarifying machine. 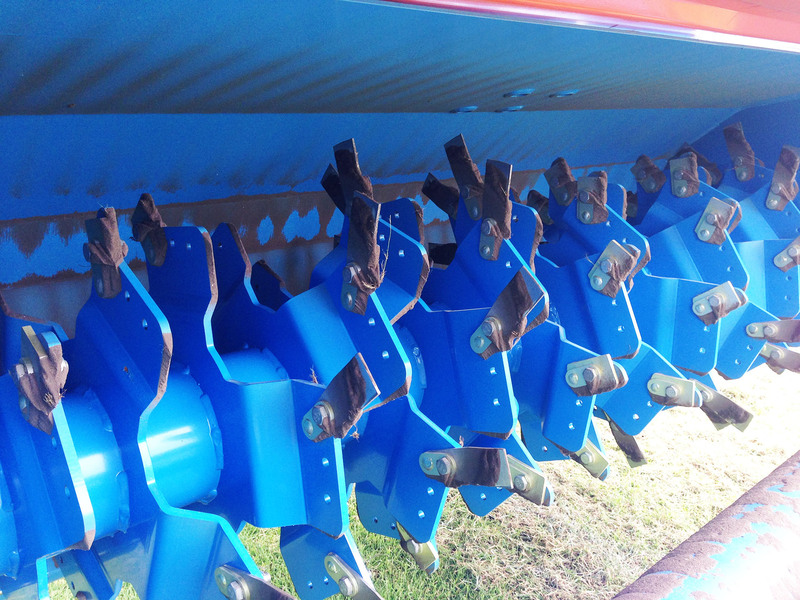 The CombiRotor® is the beating heart of the machine with its generically developed 3 mm carbide scarifying blades. The blades are rigidly attached to the rotor by means of the Quick-Lock® system and in this way you are able to easily attain an operating depth of 5 cm. In combination with the reversed rotation direction, it is guaranteed the Vstrong will never miss a single inch. If you prefer blades of 2 or 4 mm, you have that option. 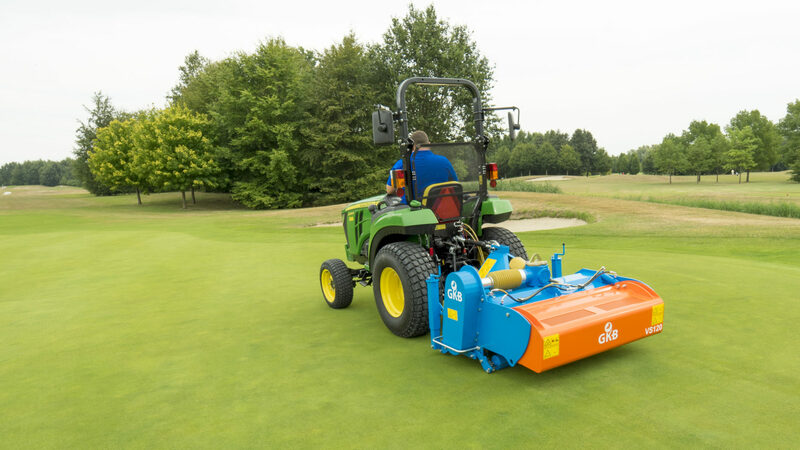 You can also alter the centre-to-centre distance of the scarifying blades. After the scarified material has dried, you can load or remove the material. Why do we suggest you let the scarified material dry first? 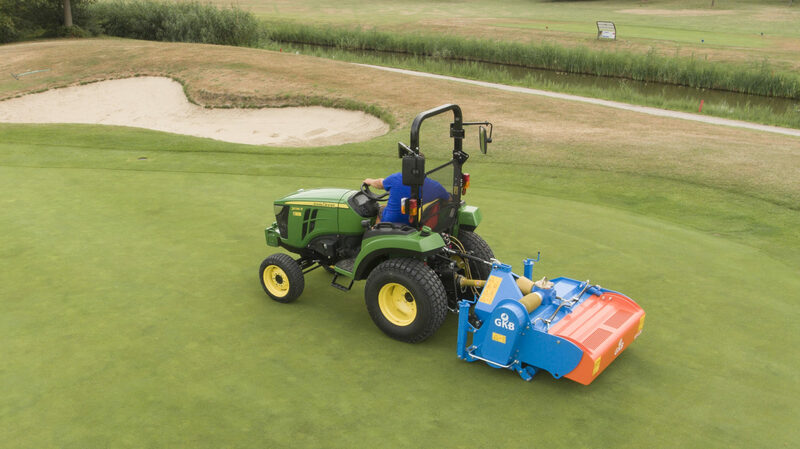 Primarily, since every machine that we develop is used by our own green contractor division, we find removing waste material is an expense, therefore, we want as little waste material as possible. 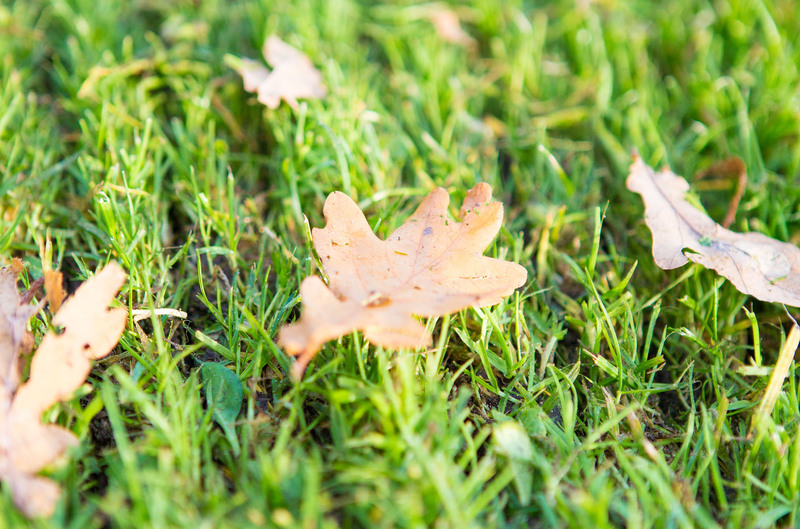 Besides, it is a waste of nutrients for the turf if you immediately remove the scarified material. Because of our patented roller pendulum system you are easily in control of the operating depth. 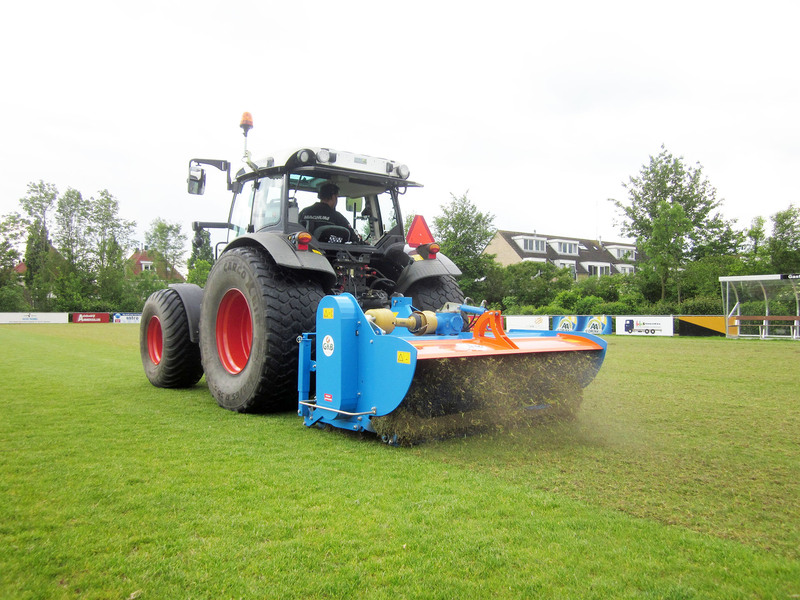 As a unique bonus, we have provided the scarifying machine with a hydraulic adjustable slide. 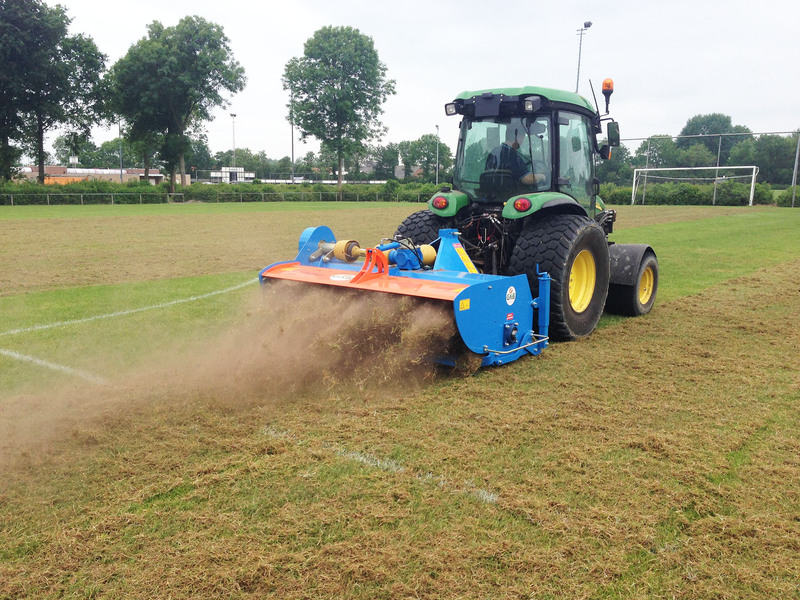 This is ideal when you are required to scarify near the edges and corners of a pitch. Consequently, swiping and cleaning of soiled advertising boards and pathways are history.